The gluing process is accomplished today by a robot that is able to perform simultaneously several production tasks. 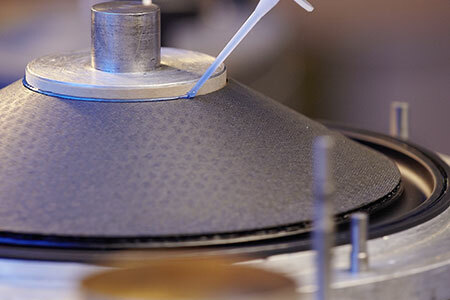 The modernization of our production technique protects at the same time our employees from health hazards. 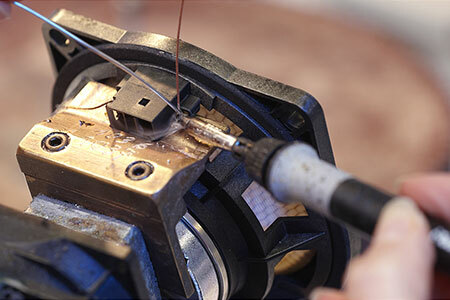 The loudspeakers are fed to the soldering station automatically. Afterwards the loudspeakers are magnetized and then forwarded to the test cabin. Special production equipment is designed in order to achieve optimal, product adjusted throughput as shown above. 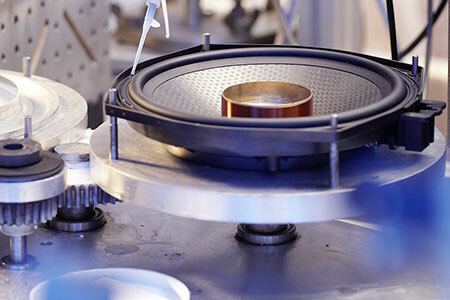 Our reliable production technology is also used for the production of non-loudspeaker products. 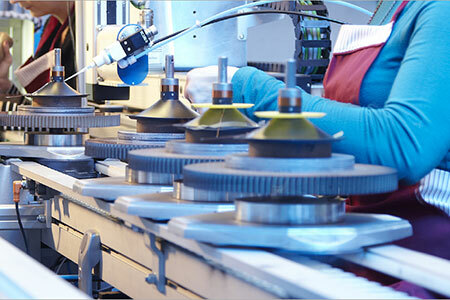 The production of vibration systems in a very narrow air gap is a leading know how element of our company. Our computer driven screw machine ensures a flawless assembly of driver units in variable cabinets by accessing all relevant parameters. 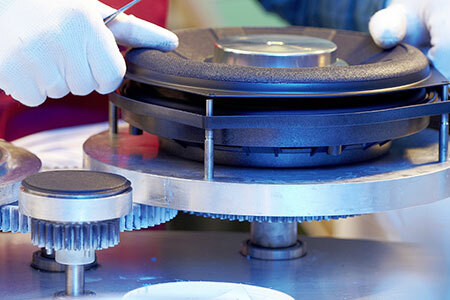 After completion all of our products receive a 100% inspection. Rub and buzz measurements for woofers and midrange speakers or frequency response measurements for tweeters are part of our quality standard.